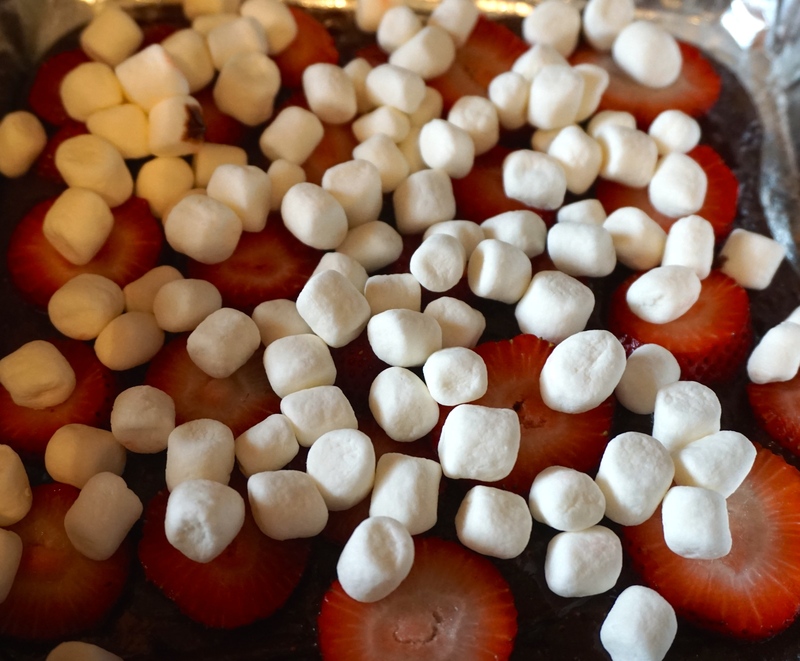 Sunday + Chocolate + Strawberries + Marshmallows = ? Sunday afternoon, perfect time for that snack with a lovely cup of tea or coffee! Found some lonely strawberries that on their own didn’t amount to much and then came across about 1/8 of a bag of mini marshmallows and thought they deserved to become part of our afternoon! 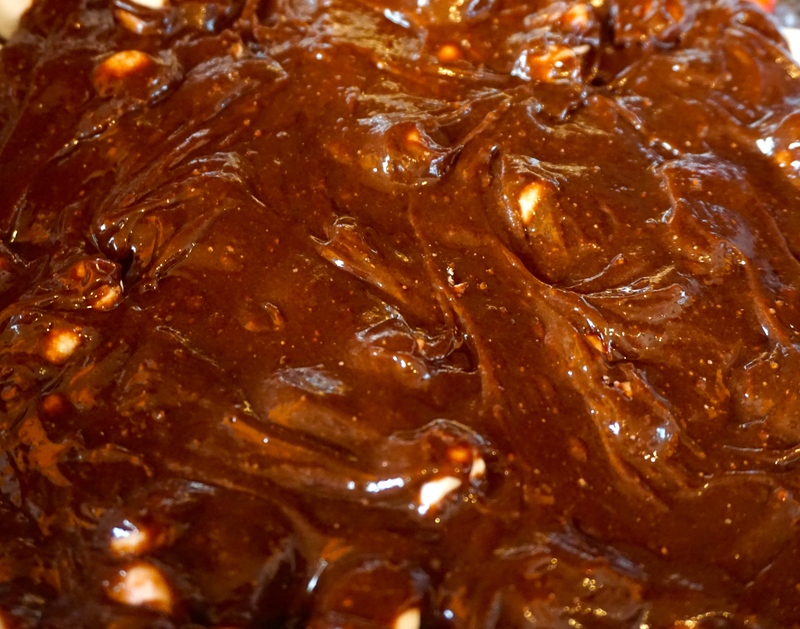 So made some brownie mix and layered the bottom of my baking pan with 1/2 of the mixture. 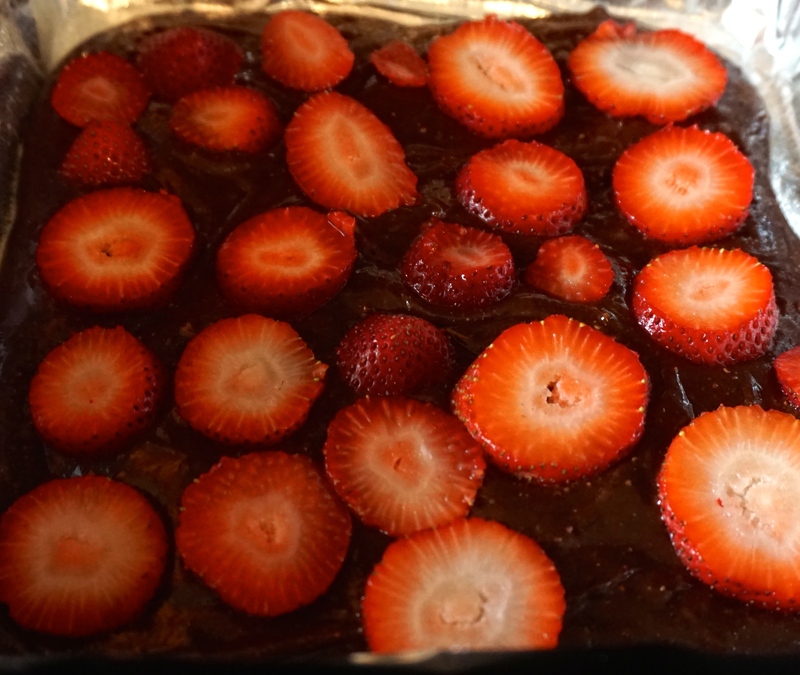 I then sliced the lonely strawberries onto the mixture, topped them off with the leftover mini marshmallows and then added the other 1/2 of the brownie batter. Next Lemon Caper Capellini Salad Obsession!